We just finished up another sold-out season of delivering the beauty and luxuries of Provence with our popular, Luxe Provence Box and thought we’d share a little peek under the cover. 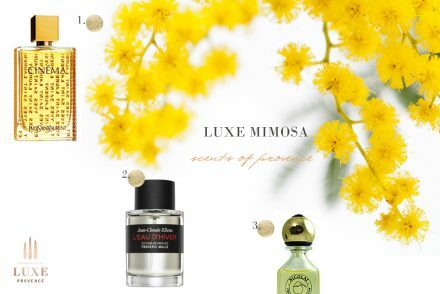 Our Springtime in Provence curation featured a luxury French gift collection of home textiles, luxury beauty and niche fragrances from Grasse. This season, we curated a gorgeous product collection designed to deliver blooms directly from Provence to your door. 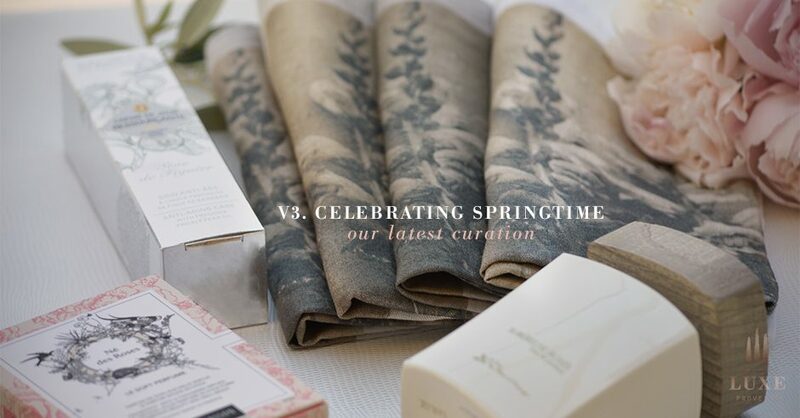 We featured high quality beauty items from Grasse, the world capital of perfume, along with a pop of spring in linen to add chic Provence elegance to our client’s home décor. You can learn more about the story behind this sold-out curation here. Each box will contain one full-size bottle of your choice (for a limited time) from niche perfume house, Au Pays de la Fleur d’Oranger (up to a $128 USD value alone). This perfume house is outstanding and there is plenty to choose from. The founders behind this brand have put their hearts and souls into making exceptional fragrances and it shines through. Their success hinges on many factors, not least the heritage linking them to orange blossom and the high quality of the local ingredients used. Even more important, is the undeniable talent of their nose, Jean Claude Gigodot, who has spent a lifetime creating beautiful smells. He is a generous and delightful man and his body of work reflects this. Each box will also contain one surprise selection from the ultra-chic Soft Perfume Line from Sabé Masson, perfect for your on-the-go fragrance needs. This is a very unique gift item receiving much buzz and praise for its hybrid blend of soft stick perfume and nourishing skincare. Delicate, sophisticated without alcohol or parabens, these beautifuly packaged soft, elegant perfumes bring together the pure sensation of perfume with the virtues of skincare. 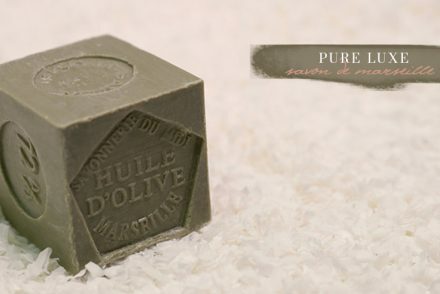 This brand new luxury cosmetics product line was recently launched after three years of extensive testing to achieve products that are 99% natural in origin from Provence. We have tested a range of their products ourselves, and are pleased to be the first to deliver these luxury cosmetics around the world from France! In fact, they were such a hit that we have ordered up their amazing Replenishing Day Cream for our boutique, by popular demand so run on over and order up yours here. One of our favorite, luxury French linen designers is back by popular demand. We featured a lovely surprise collection set of luxury napkins featuring blooms that coordinated with a past curation, ideal for annual members to create their own chic, coordinating tablescape. Our award-winning Luxe Provence Box offers a highly curated collection of surprise French gift items representing each change of season in Provence. Be sure to reserve yours in advance, they sell-out quickly each season and are a limited edition. 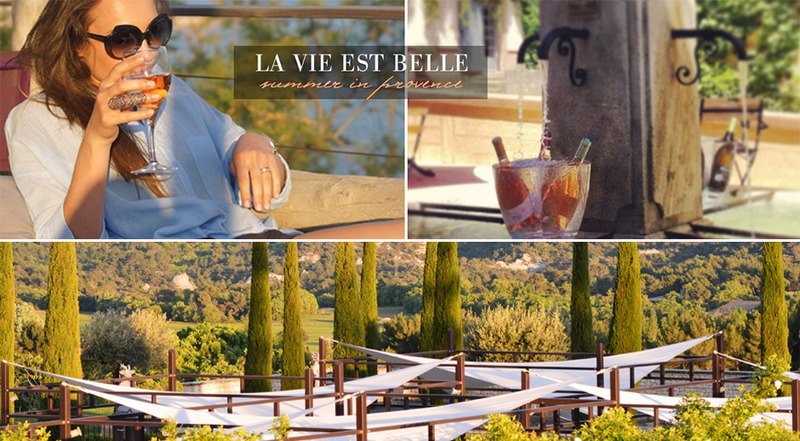 We have our pre-sales on now for V4: La Vie est Belle – Summer in Provence. This season’s curation will feature a Luxe Provence exclusive design collaboration! Reserve yours today this is a limited edition only available to Luxe Provence clients.